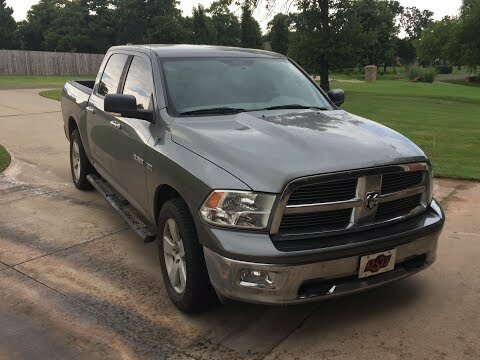 If you like your trucks big and bold on the outside, but soft and luxurious on the inside, the 2010 Dodge Ram is right for you. The Ram retains its familiar "big-rig" styling, but looks even better thanks to a forward-canted grille and more chrome accents. It's a great truck try it. I love my RAM truck, I have the power when I need to go fast and I have the storage area, and towing power to do just about any side jobs that happens, to show up my truck also has the room to carry five, passengers with ease I even go off-road with my ram, and Its, 5. 7 V8 my Dodge truck is awesome, there's no better truck on the road in my opinion, also the large head up GPS screen and graphics are great and surround sound audio, are super all in all this RAM 1500 truck gets my vote every time. It is very reliable. Check the sunroof drains!. I love how dependable my vehicle has been for me I never need to worry about it not starting or not being able to perform the way I need it to. Every time I have needed to pull something it never lets me down there has been times when friends have gotten their vehicle stuck and every time they call me to come pull them out whether they have gotten stuck in the snow, drove off the road into a ditch or even gone mudding and found themselves too deep in the mud to get out. If the fuel tank were to drop and contact the ground, a fuel leak may result. Additionally, in the event of a crash, the fuel tank may not remain secured to the vehicle, possibly causing a fuel leak. A fuel leak in the presence in an ignition source, can increase the risk of a fire.